Dhanaulti is one of the crowded tourist destination and hill station of Uttarakhand which is situated at a breathtaking elevation of 2,286mts above sea level. 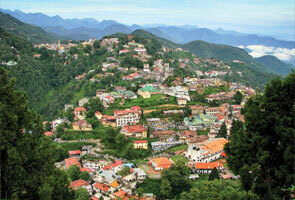 The place is situated in between Mussoorie and Chamba i.e. only 24kms away from Mussoorie and 29kms from Chamba. Eco Park is the tourist hub of Dhanaulti which is surrounded by the dense forests of Rhododendron, Oak and Deodar. One of sacred places of India is Haridwar which is known not only for its spiritual value but also for its amazing scenic beauty. 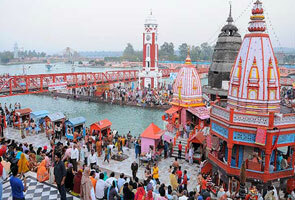 Haridwar is an ancient and holy destination in the state of Uttarakhand. You can assume this place as the major attraction for the tourists around the world. The place is visited by thousands of pilgrims every month due to its incredible religious significance. The city is otherwise recognized as the “Gateway to the Lord”. When you break the word Haridwar it is divided into two words ‘Hari’ and ‘dwar’ which means ‘Lord’ and ‘gate’ respectively. This place is located on the bank of holy river Ganga and it enhances its beauty at exceptional level. You will find majority of shrines, temples and ashrams where you can experience unmatched beauty and peace. Kantal- a popular tourist spot is situated at a distance of 73 kms from Rishikesh on Mussoorie-Chamba road. This place actually belongs to Tehri district of Garhwal region. The place is extremely famous for lake with pristine. Nowadays, you can find exceptional crowd at this place. Devprayag is basically a holy convergence point of two sacred rivers Bhagirathi and Alaknanda. The name of Devprayag is counted amongst five confluences of Alaknanda river. The place is situated at an elevation of 472 mts above the sea level and the distance between this place and Rishikesh is only 71 kms. If you are adventure lovers then Shivpuri is going to be an ultimate destination for you. 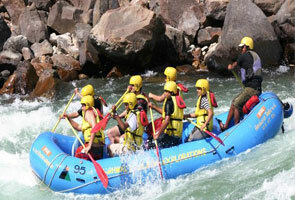 You can avail the wonderful experience of rafting and kayaking. Besides, the places is recognized for its yoga and rock climbing camps. It has been the major tourist destination of Uttarakhand as tourist can explore various activities such as rafting, mountaineering, rock climbing, kayaking and trekking at this place. 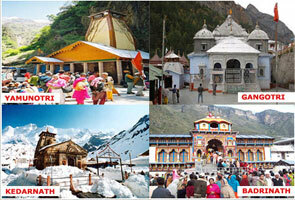 Byasi is assumed as the best tourist destination in Uttarakhand popular for river rafting and restaurants. The place is located on Baijnath road. If you want to relax then going to this place is smart decision. Narendra Nagar is located on Rishikesh-Chamba road which is located just 15 kms away from Rishikesh. The place is acknowledged for its historical as well as archaeological importance. If you’re animal lover then Rajaji National park is the place you must visit.